This website examines the lives and journeys of Italian Immigrants during the late 19th and early 20th centuries and how these immigrants managed to adapt to their newfound home. In addition to facing struggles such as poverty, overcrowding, and natural disasters that prompted them to leave their beloved home of Italy, Italian immigrants also looked at America with a glimmer of hope, for America held the promise of equality and a way of being able to support their families and loved ones. While some male immigrants took on the name of “birds of passage”, due to the fact that they planned on living in America temporarily and would send their earnings back home to Italy, others decided to start a new life and began to call America home. These immigrants settled in communities such as Greenwich Village, where other Italians who shared the same morals and values settled, ultimately resulting in living in a neighborhood that seemed like a little home away from home. 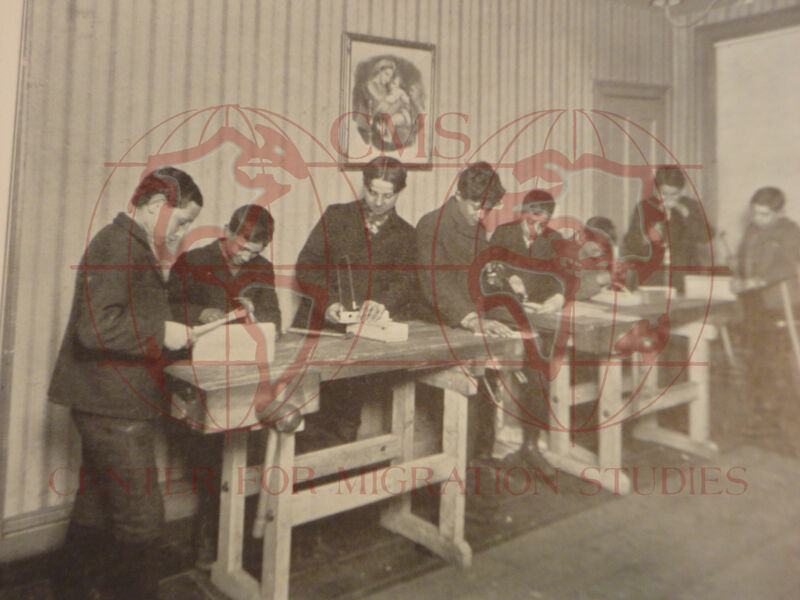 Accompanied by a variety of photographs that range from events such as the aftermath of a treacherous earthquake to an inside look at classes that taught basic skills, this website seeks to educate those who wish to learn more about the lives of Italian immigrants and their quest to pursue the American dream. This entry was posted in Center for Migration Studies (NY), Exhibits and tagged American Dream, Family, Immigration, Italian Ephemera. Bookmark the permalink.